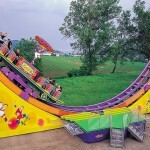 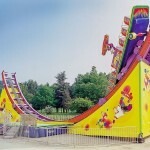 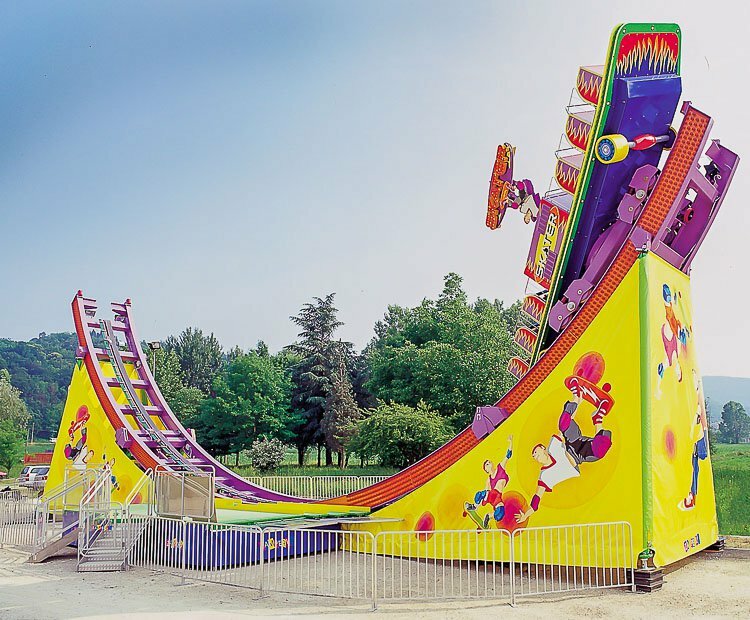 The Skater combines extreme sports with extreme fun in an attraction that is sure to be a hit with riders of all ages. 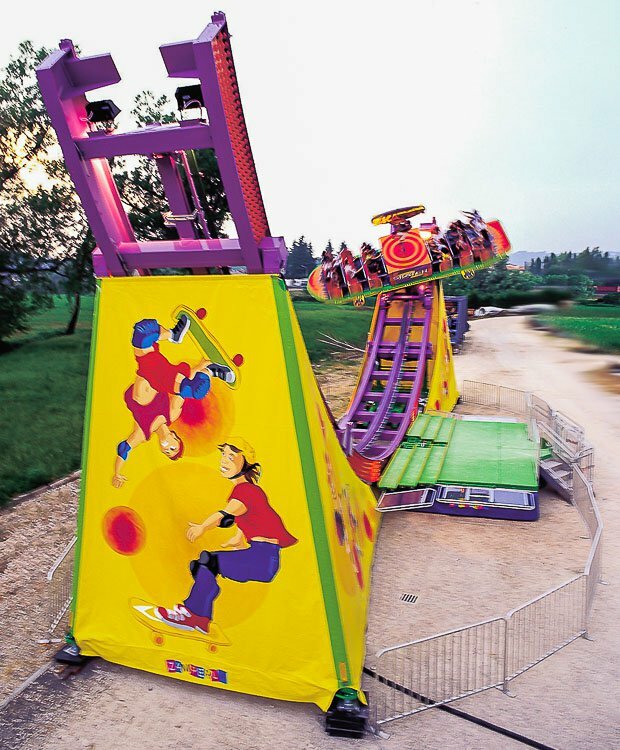 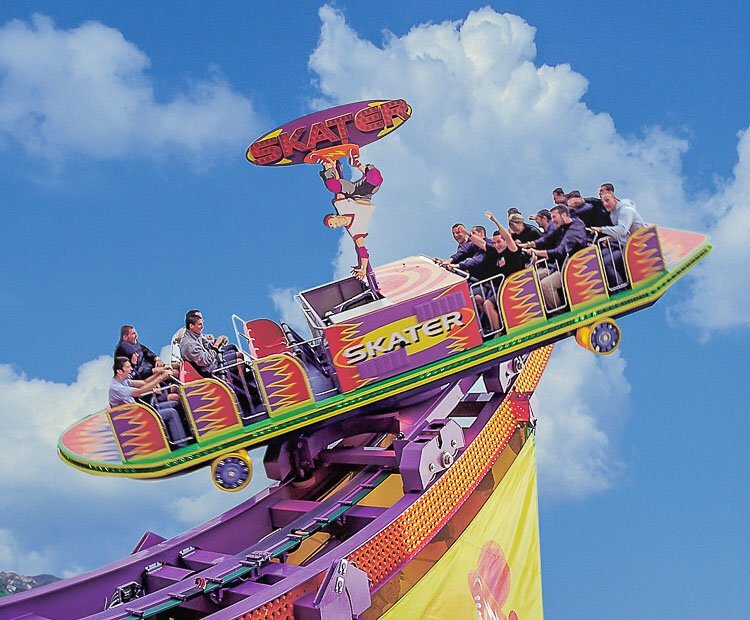 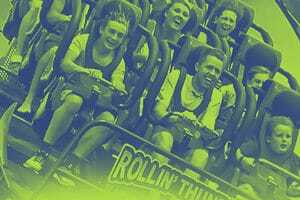 Borrowing rocking and spinning motions from the ever popular and innovative Disk’O ride, the Skater seats up to twenty-four riders per cycle for a theoretical hourly capacity of 600. 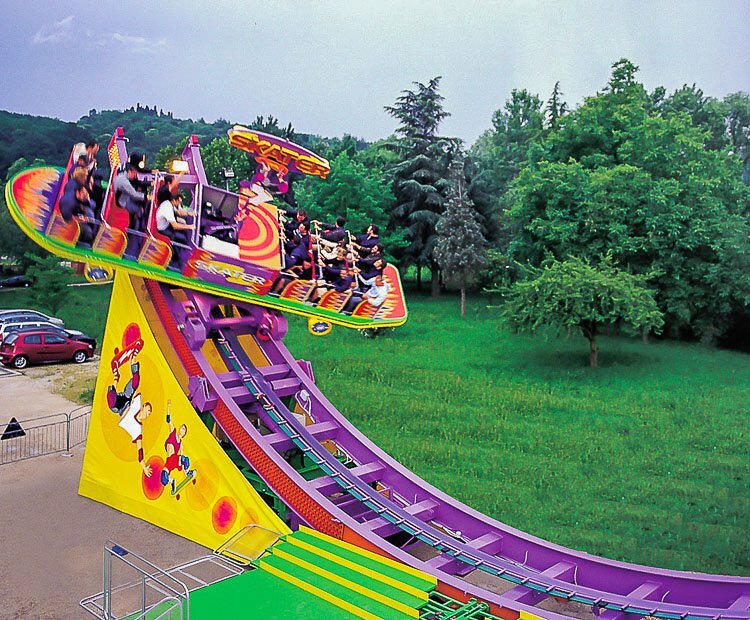 Riders are seated four abreast in six rows with a lap bar safety restraint. 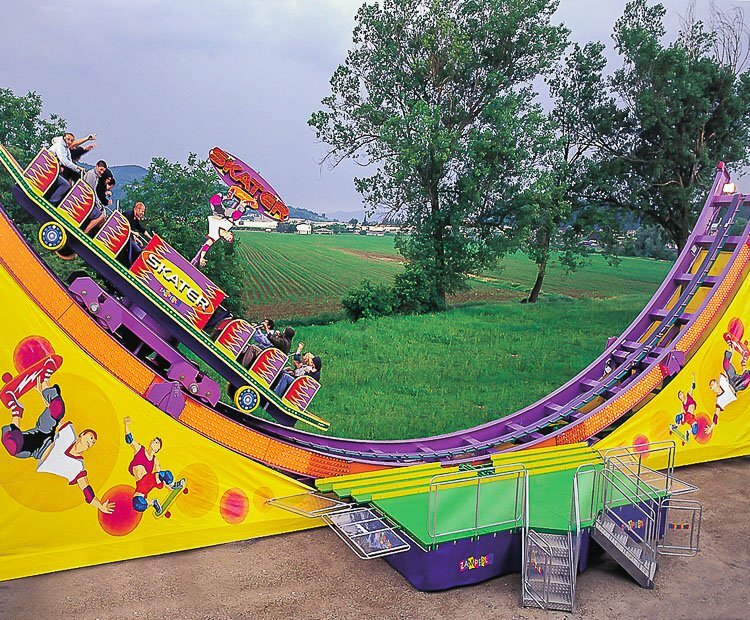 Once the competition begins, the Skater takes riders on a whirling, daring, fun filled romp through the sky, giving each and every rider the sensation of riding a skateboard through a half pipe. 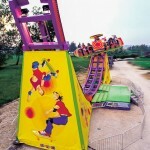 The Skater is available in both park and trailer models. 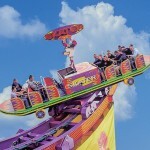 Do you need more information about Skater?